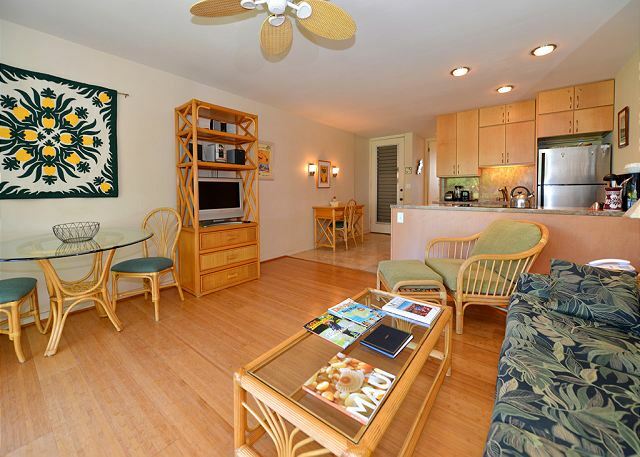 Hale Kai # 108, our “home by the sea”, was decorated to reflect the charm of old Hawaii but with all of the comforts of home – flat panel TV, DVD player, free wi-fi, a fully equipped kitchen and all linens provided. 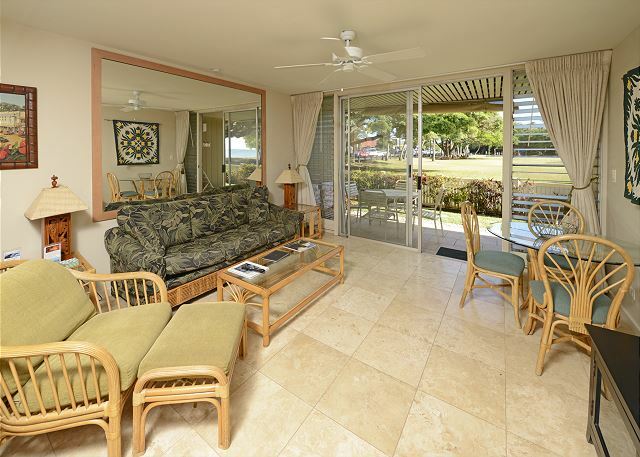 Our lanai looks out on the Pacific Ocean and Honokowai Park. 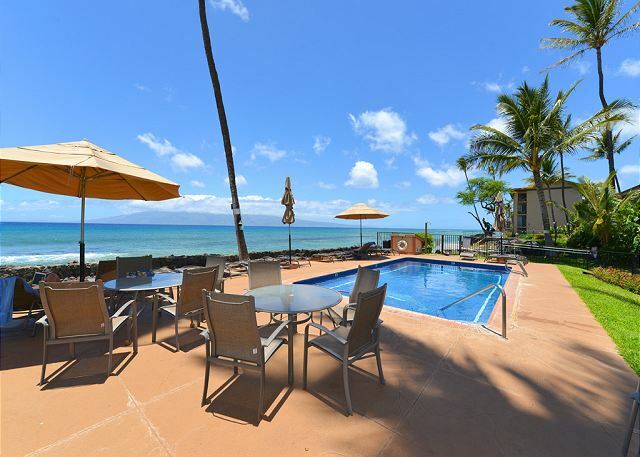 Swimming, snorkeling, windsurfing and tidepooling are steps away at our beach. Turtles feed off our reef. Sunsets and whale watching are popular activities at Hale Kai. 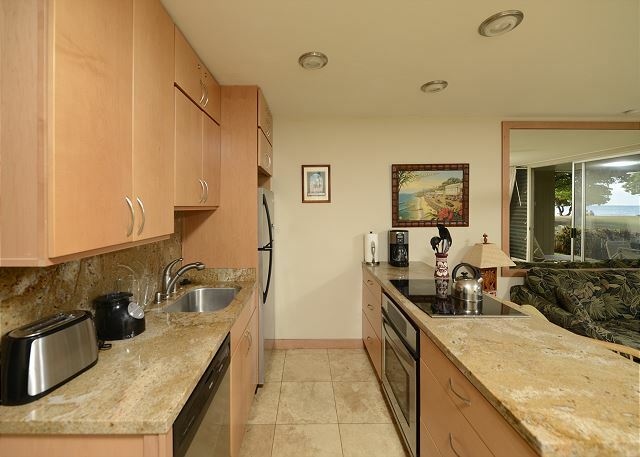 Our kitchen was remodeled in 2011 with all new appliances, travertine floors and granite countertops. 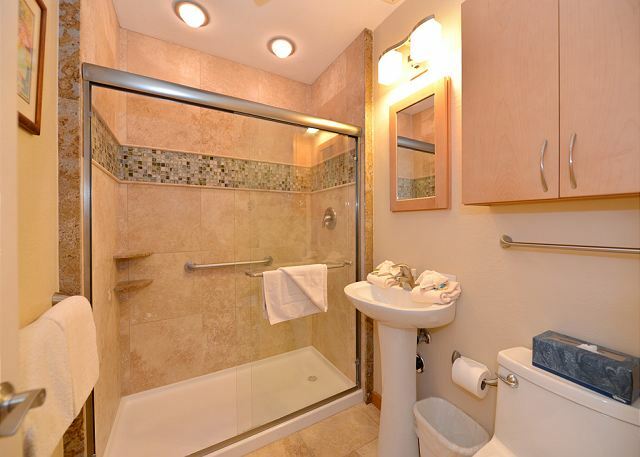 The bathroom includes an oversize walk-in shower. Great place to stay on Maui. Quiet area. We enjoyed our coffee in the morning from the patio with a view of the ocean at Honokowai Beach Park. There is a coffee shop across the street. The people at the rental office were friendly and helpful. Great amenities. The suite had some great tips, and they left a boogie board and some flippers in the closet! Good location. Old building, door locks are very outdated and not very safe. Otherwise, the property kept in good condition. As usual the room and accessories were wonderful. The only problem was the construction next door. This happened the last time we stayed in this same room. Not very relaxing. The vacation rental was perfect for my husband and 18 months old baby boy. We enjoyed having the farmers market, miss the bad *** coffee and how close restaurants were. Thank you for allowing us to have such a wonderful little place away from home. a guest from Louisville, OH does not recommend this vacation rental. The condo was not very clean. The floor were dirty. The park beside it was very well used which means it was very loud into the night. Also could use a few more fans being as it was very hot and hard to sleep. Hale Kai was the best place to stay! 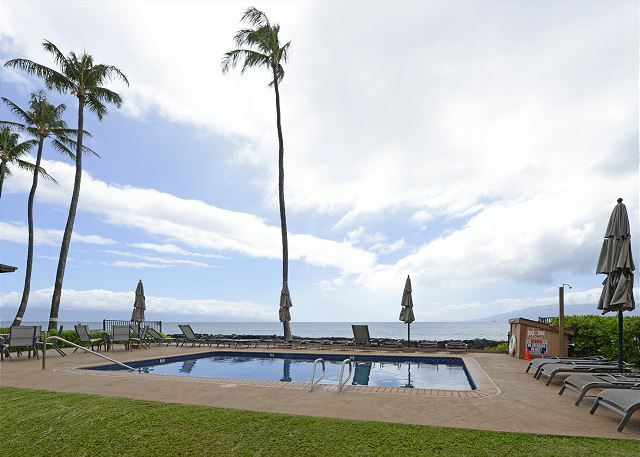 Quiet, beautiful and relaxing... you can see the ocean from lanai, access beach on both sides of property and the pool area was always well maintained. I highly recommended this place to anyone staying in Maui! We had a wonderful time. Very nice to be "by the sea" for the family. Our only "complaint" was that we were in three separate units, thus not having as cohesive a family vacation time as if we were together in a large house. Perfect location. Prefer Hale Kai to the busy hotels and high rise condo's. This condo was just what I was looking for. It is close to shopping and right on the beach. The pool was well maintained as way the balance of the property. I would recommend this property to my friends, in fact I am thinking of returning next winter. 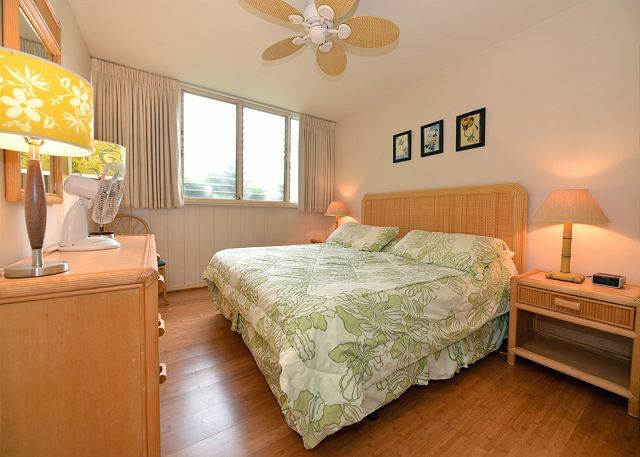 Every aspect of Hale Kai is superb from cleanliness to grounds beautiful and management so pleasant. We stayed in this unit for one week. First of all, we were pleasantly surprised by the gifts as we were checking-in on Christmas day! 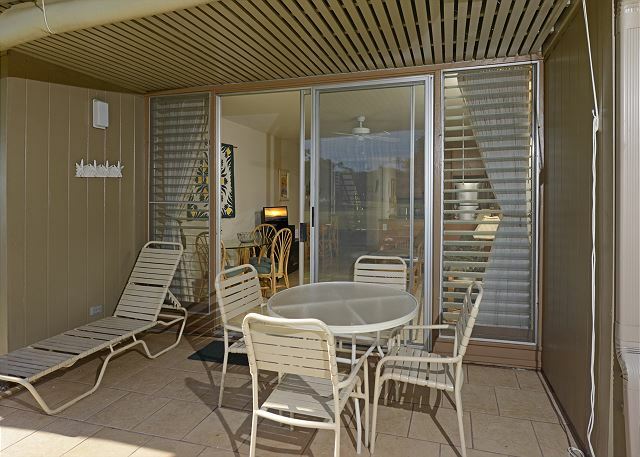 Unit is just steps away from the beach and you can constantly hear the waves hitting the shore. Kitchen was stocked with utensils that made our life easy since my wife decided to cook during her spare time. On the overall, we were very satisfied with our stay there. A very nice unit for a couple. No disappointments. The unit faces a lovely public park, but it is occasionally frequented by loud people. Early morning drunks were a nuisance as well as used drug needles on the beach. This was the only negative that renters should be aware of. I would still go back though. Absolutely loved my stay! The view from the lanai is just beautiful! I enjoyed my morning coffee listening to the ocean. The pool was great! Only wished it had air conditioning. There was a constant breeze but for a few hours on the afternoon it did get warm. Will definitely be back! The place was very clean, it is on the small side, but the location is great. We watched the sunsets from our lanai. It is facing a park so it is not very private is located across from cute shops, cafes and farmers market. We had a great time. This location is perfect for a family with kids, the swimmable beach just steps away. the pullout couch was terrible. would have been nice to have couple of extra bits in the kitchen like spray oil. We love this complex. We stayed here last year and were excited to come back. While we love the location of the front building facing the pool, there were no units available for our family, so we were lucky to get unit 108. It is a beautiful unit and very nicely updated. Being on the park side is a little louder than the pool side, and you do not have as direct of views of the ocean, but the unit was still great. We love this complex and will be back! It is perfectly located, great for young families and feels like paradise without being at a big resort. 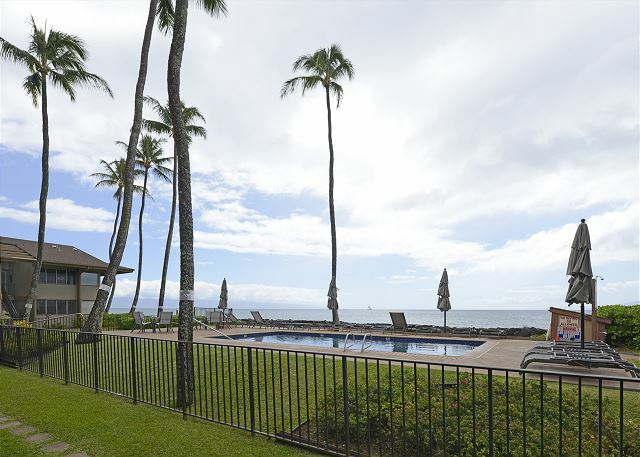 If you enjoy having a condo in a quiet complex, love being right on the ocean, then Hale Kai is for you! This condo was perfect for our vacation. It was nicely decorated, plenty of towels, airy and the bed was quite comfortable. 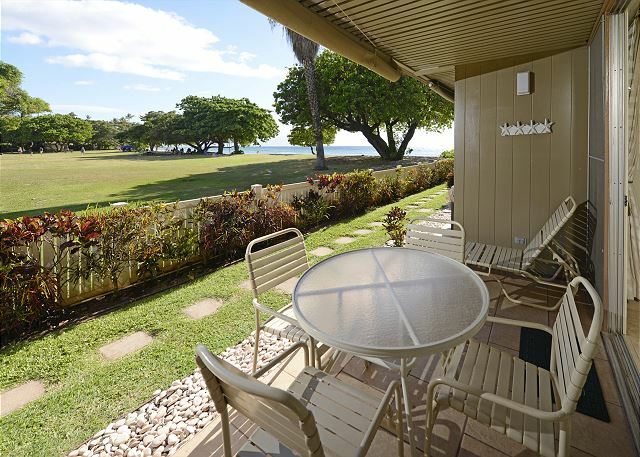 We loved sitting on the lanai every night and watching the sunset. In my opinion, we had the best view as the sun disappeared into the water every evening. I hope that when we visit again that this condo is available. We had a very relaxing and enjoyable time in unit 108 at the Hale Kai. Our stay was very enjoyable. This is not a fancy new 5 star hotel and that is what makes it special. You feel very relaxed and can be very casual. The location is right on the beach and next to a park. The park has big shade trees which give you the option of sun or shade and resident turtles live there. The location is off the main road so it is quiet. There is a farmers market 3 days a week and the market store which has some very neet items. They have some of the best soups. A few blocks away is a fresh fish market which you can buy and cook and also they have the best fish tacos around. Another block up the road is an ABC store and a big new Times grocery store. Location is perfect. everything was great, Park Grounds outside room with ocean to right is great place to see birds in park coming for handouts. Was really Paradise, Hopefully will come back for same rooms (108-109-110) someday. Management was very great with us couldn't have asked for a better place to stay! This complex was recommended to us by a friend and turned out to be exactly what we thought it would be. 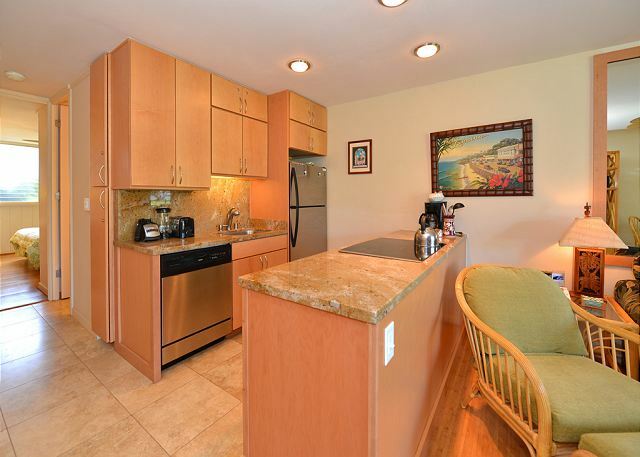 Its was a very clean spacious condo that had a fully equipped kitchen and terrace with partial ocean view. It located right beside the park and across from the farmers market and a cute coffee shop. You're only minutes from the resorts, so trendy beach bars such as Duke's are nearby and grocery stores are within walking distance as well. We had problems with our hot water on the first day but the Hale Kai team took care of it right away. The only thing I would recommend is an extra set of beach towels as you only get one set; thus there is shared laundry so opportunity to do a quick wash. We will definitely be back! Great location; we were very familiar with the area and it was a wonderful visit this year. Perfect for my daughter (9) and I; she played at the park and I could keep an eye on her from the condo when needed. Enjoyed the turtles at the beach, good little pool and playing in the waves every day. Plenty of breeze to keep us cool and great interactions at the park with local and vacationers alike. Good room. However, construction in apartment overhead for 3 days which manager had no control over, cold water till heating system was fixed the next day, and overhead fan had to be replaced as it wasn't working at all. Manager responded to everything immediately. Great beach front location, easy driving distance and convenient to everything, fun people watching at the park next door and we had a great time. We would return again. We very much enjoyed our stay at Hale Kai. The people staying there were very helpful as well as the staff, The unit was very adequate and we enjoyed the pool area. I thought the unit could use a little more in depth cleaning but other than that it was good. Loved hanging by the ocean front pool, the sandy beach, and the killer views. Great location in active neighborhood. Will be back! Next to a park and on the beach. Great location if you have kids, and even if you don't. This will be our second time in #108 and the only reason we returned to this unit was for an additional guest and the price. First, the location of Hale Kai is remarkable. It is in Honokowai, which is a pleasant community. The property is well kept up and clean. The pool (right on the ocean) is a bonus. Having the buffer of the park next door is nice. The cons of the property are the long term RENTERS (not owners) that are there - some are less than desirable (for example 210/106) and inconsistent smoking policy. Also, they advertise WiFi, but it's lacking and at times hard to get a signal in the suite. The unit needs some TLC (paint, updating, etc). The kitchen was recently done and is nice. The TV is so tiny that we hardly watched it at night (several other guests mentioned this too). Furniture is really dated. We won't stay in this unit again BUT have booked at Hale Kai for next year. Adam S from Sacramento, CA does not recommend this vacation rental. Rental was adequate, but in need of an interior decorating update. 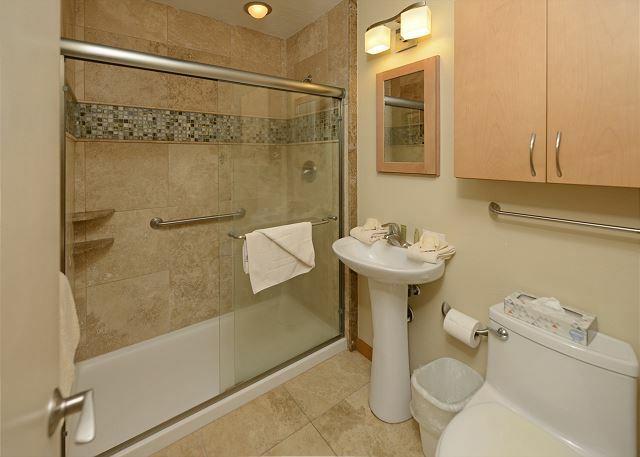 When I booked online, I was unaware of updated/modern condos, which I would have preferred. Being right on the ocean was wonderful, but looking out my back door at a public park full of night-time crazies and screaming kids in the daytime was somewhat disconcerting. If Hale Kai wants to be 1st class, I would recommend that it store a bunch of dual-hose portable A/C units for rent per day during times where temperatures are abnormally high and trade winds are low...I couldn't wait to get home for a little cool relief!! Wonderful oceanfront low rise condos with marvelous up-to-date facilities AND old world charm! Who would want to stay in a hi-rise conglomeration after vacationing at the Hale Kai? Not me! #108 is ideally located Parkside and offers a far more natural vista than those Poolside. 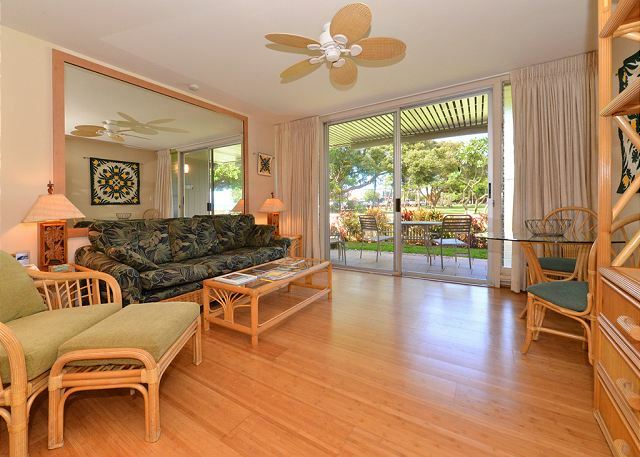 I will definitely chose to stay Hale Kai Parkside on my future visits to Maui. A unique piece of Paradise without equal. My daughter and I, along with my parents, spent eight fabulous days at Hale Kai in early August. All four of us had a very relaxing time enjoying the beautiful ocean views, evening sunsets, the community pool. The property was well maintained and all the guest were friendly and respectful about maintaining the serenity of the property. We would all most definitely come back for another visit. Quiet little condo complex right on the beach. Thoroughly enjoyed our stay here! Loved that beach towels were provided. My wife and I loved our stay at Hale Kai 108. The complex is very nice. It has a very homey feel, not like a high end resort. Kitchen and bathroom have been renovated. Best of all, it is close to all the great things to do on the west side of Maui. Pool is great, beach access is great. We saw a sea turtle in the water while sitting by the pool. Most the other amenities are as described. Did not use the TV, but it looked like what was described. The one amenity lacking, was that the WiFi did not work. Manager said it was some problem with the ISP. Not a problem for us as we were able to get the internet service we needed from our mobile phones. We loved it so much we recommended it to friends who have since stayed here. Awesome location, great amenities near by all within walking distance. Saw Turtles and beautiful sunsets every night! Look forward to future visits to this wonderful place! Beautiful spot, within a short drive to everything you need. Great pool area and view! Great over all stay. Nice location, on the ocean and close to several amenities. BBQ's were a very nice added touch. 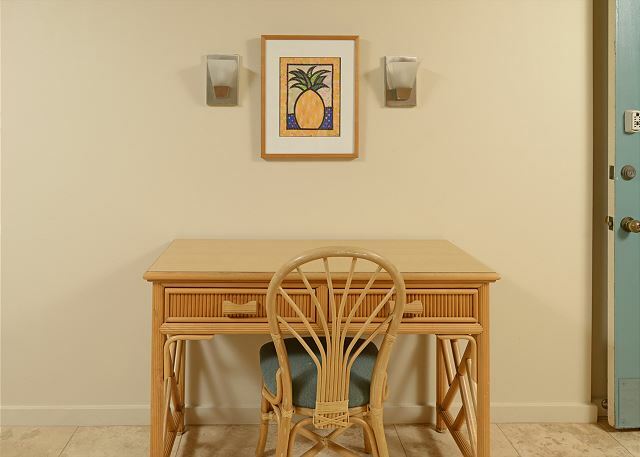 Very clean condo and well maintained. The rental management staff were very friendly and helpful. We stayed 6 nights while we visited Maui. What a great surprise to find this very large apartment (probably around 500-600 sqft) with a separate bedroom. 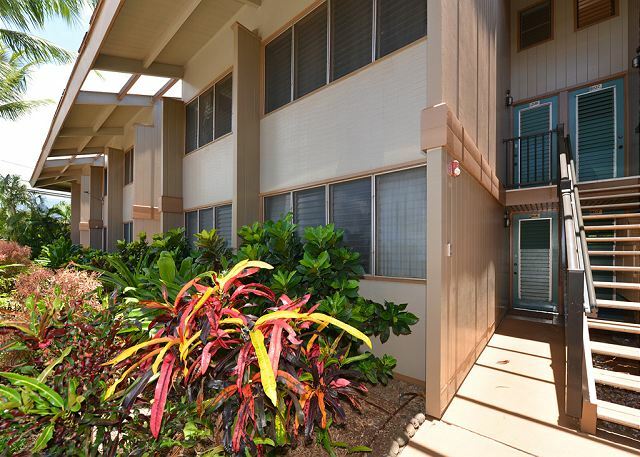 As illustrated in the photos, the lanai is close to the ocean (4-5 apartments are closer from the same building) and fronts a public park, pretty and quiet. The apartment is fully furnished. There is no AC but that is not needed at all (in November). 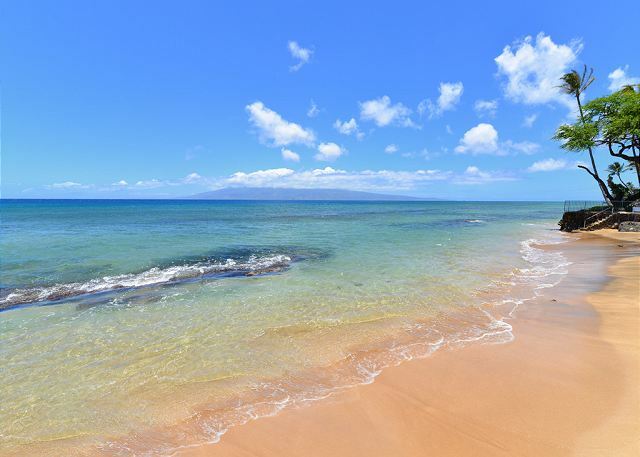 Honokowai has all commodities around (one supermarket, a few restaurants...) but you may have to drive up to Kaanapali or Lahaina for more shopping or for sand beaches; a car is mandatory and expect 10-15 min drive. A delightful time while we were becoming grandparents for the first time. Our daughter and son in law live walking distTance from Hale Kai. A perfect location and site was wonderful. Having the park outside our door and a view of the ocean were too good to be true. The condo was bright and open. We had many dinners here with our family before and after our little Harper came into our lives. We really appreciate our experience in Maui. This is a lovely and charming isle. The condominiums is very great. Every things is clean and the service is very good. This is a calm place to stay. The only negative point is that there is no place for a long walk along the beach but we really appreciate that place and want to come back next years! 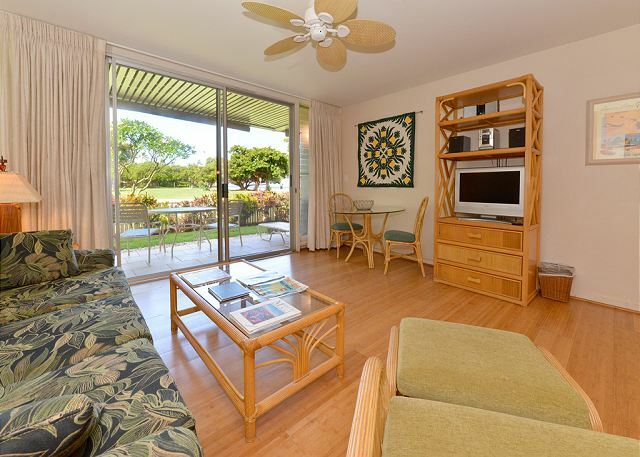 We had a very good 9 day stay at Hale Kai #108 in February 2014. The unit was comfortable and had most everything we needed. 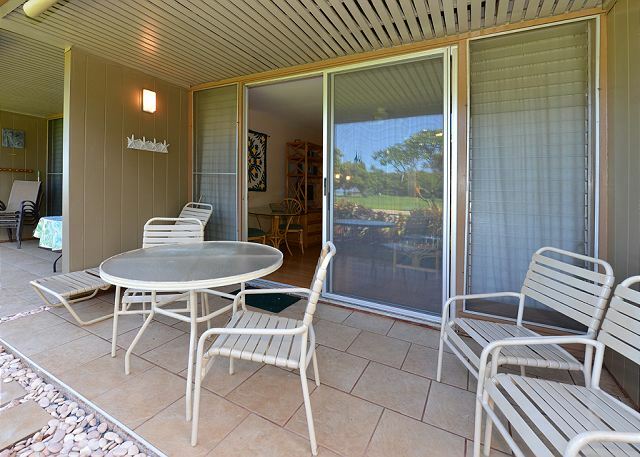 The city park next door really gives you a good feeling of outdoor space when sitting outside on the lanai, and allows you to sit and look out over the ocean from this unit, which is a little closer to the road than the ocean side of the building. Street noise wasn't really a big issue, either. The neighborhood around the property is fairly quiet, which was nice, but had good shops and take-out places so we didn't have to go far for anything if we didn't want to. In all, I found it to be a very relaxing place to stay, and one I'd stay at again on another Maui trip. It was awesome. I wish I could stay for more days. Great place! Comfortable, excellent location, very safe. We had a great time staying at the Hale Kai. My husband and I stayed here for 10 days with our 2 year old. The location is perfect with a park right next door which has small tide pools for the little kids. The is also beach access with larger waves on the other side of the complex. We felt very comfortable and safe at the condo. The office staff was very accommodating and helpful. Great place to stay! We are already booking next year. Perfect "home away from home"
My wife and I enjoyed our stay at Hale Kai #108. Perfect location by the sea. Close to most attractions on the south shore of Maui. Every morning, we enjoyed breakfast on the lanai overlooking the sea. The constant murmur of the ocean was very soothing. Great "neighbors" made it feel more like a home away from home - perfect to dip into the true Aloha culture! Much better than the best traditional hotel we could imagine. We had a great stay here in this condo/apartment. The location was excellent, right next to the beach park. We loved snorkeling and watching the turtles feed in the surf close to the shore each morning. The bed was comfortable, the kitchen well equipped, and everything was clean. We did not use the sofa sleeper in this apartment. We would not hesitate to come back to this location. We intentionally chose a smaller, more personable condo for our vacation. We loved the friendly atmosphere, being next to a park and being so close to the beach. our pool was just steps from the coastline. Everything was pretty clean, except the details, like around the windows and floor trim. The only thing that would keep us from staying here again was the last of air conditioning for the middle of the day heat and stuffiness. Otherwise, the Trade Winds did a great job of cooling in the morning and evening. 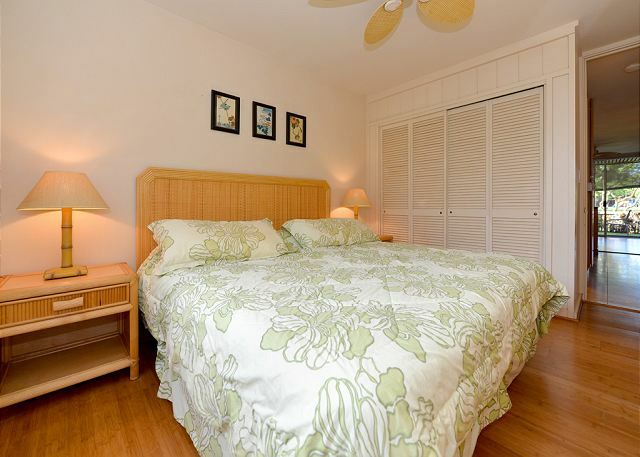 Aloha - Great atmosphere and our location by the ocean are high on guests priorities. 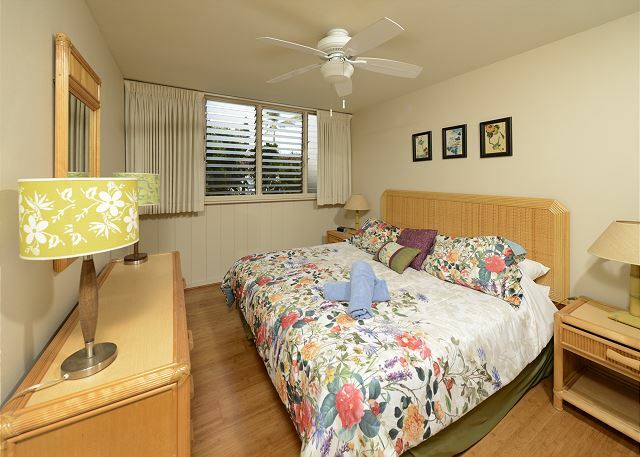 The trade winds and ceiling fans provide cooling breezes through the condo, while the sounds of the ocean add to the Maui ambience. Mahalo! The security was very questionable but after the first night I was pleasantly surprised to find out that the complex was safe and neighborly. The ocean is just feet away and the crashing of the waves can be heard all day and night. Lots of shops within walking distance and an overall great place to stay. My wife and I stayed in the condo for 1 week. It was a perfect location and a great price! We will be back!! 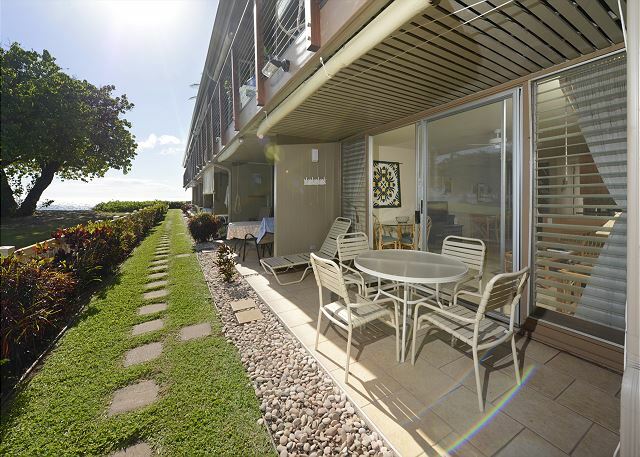 Great Condo for a Great Maui Vacation! It was our first time in Maui and we took our two grandsons ages 6 and 13. The office staff was fantastic and she offered us use of beach toys, noodles, and boards. The condo was in a great locations which looked out to the park and beach. The Farmers Market was kiddy korner and other shops and small restaurants were in walking distant. All the facilities including the condo were clean and comfortable. Would definitely stay there again when vacationing in Maui. 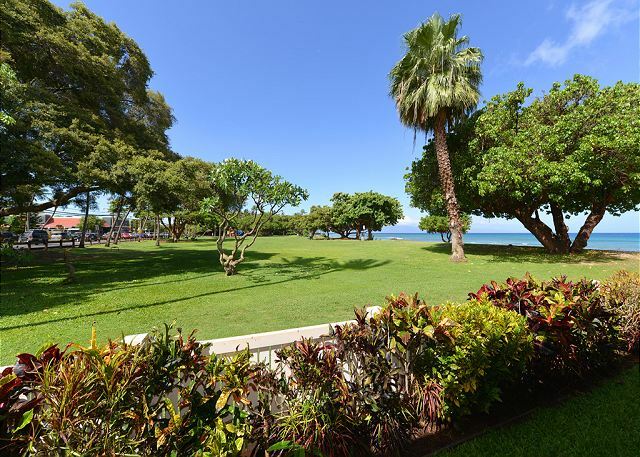 Hale Kai - Best Condos in Honokawai!! 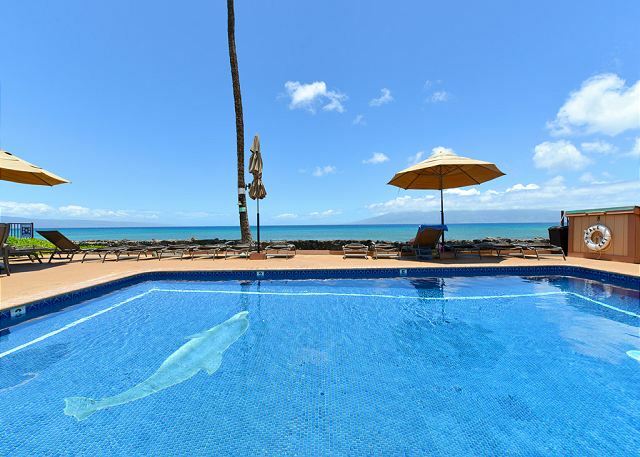 My husband and I vacation in Maui almost every summer and we ALWAYS stay at Hale Kai. 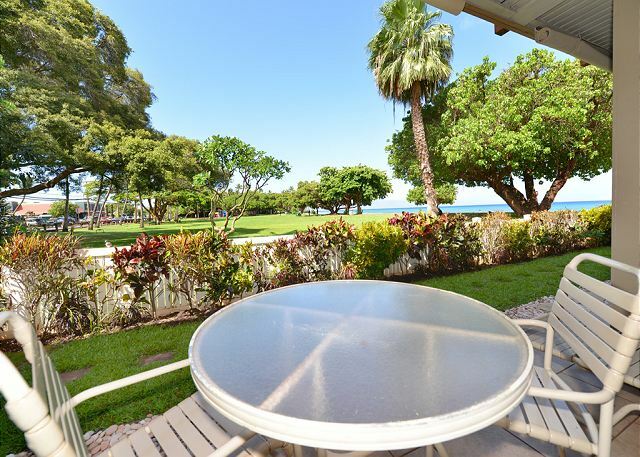 The beautiful ocean views, the beach and park adjacent can't be beat. Condos are all well taken care of and the year round owners are very welcoming. Great location and very enjoyable stay. sitting between Ka'alapali and Lahaina, literally next to a park (our condo overlooked it and the sea) and across the road from from Bad-*** Coffee and the Farmers Market...was the most amazingly easy, relaxing, convenient, clean, safe, no-brainer experience in the lovliest location. sheila and i loved the ease of getting anywhere. there is the most amazing fish taco place about a block down the road where we had the best fish we have ever had in any restaurant anywhere in the world... it was fresh and had taste and wasn't covered in onions or sauses - simply mouthwatering. and just to cap it... the last 2 days we had a gigantic sea turtle must have been 6 feet long just sleeping on the beach right there. each evening we got to see 3 smaller sea turtles feeding on the seaweed on the rock right outside by the pool. and for the whole week we were treated to sunset after glorious sunset piped out by the 3 conch-shell blowers who would blow the shells to North, South, East and West (its some island tradition or something... very cool). all the people staying at the condo were very friendly and each evening would come out to the pool area carrying their drinkies and watch the sun go down "en-masse"
lovely lovely lovely.. wish we had had more time to enjoy it. we want to come back if possible and would be delighted to return to hale Kai. I so enjoyed my stay once again in #108 at the Hale Kai. I loved the renovation the owners did in the kitchen and bathroom. Valerie, the office manager, went out of her way to make sure my stay was perfect and I had everything I needed. 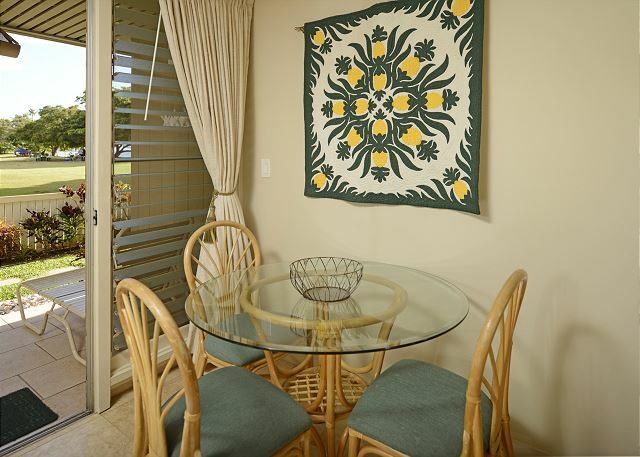 The warmth of the other guests lets you know the aloha spirit is alive and well at the Hale Kai! 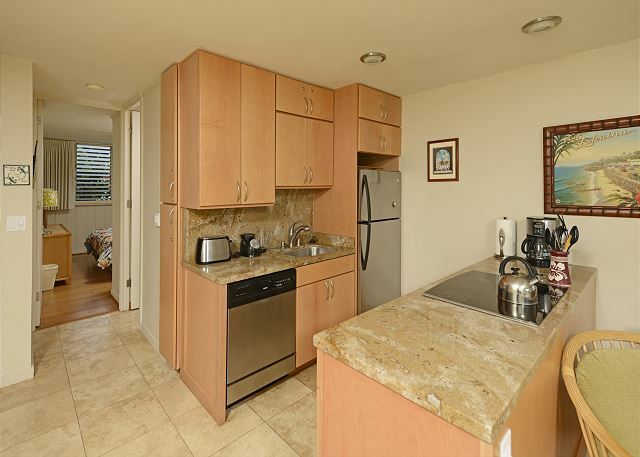 Beautiful condo in fun area of Maui! My husband and I stayed in room #108 for 6 days. We loved it! At first we were a little thrown off by our view of the beach park--the park is cute and has a great view of water, but the street it's on it a little busy. Over time, I actually fell in love with the location. I like how it feels less touristy in this area. 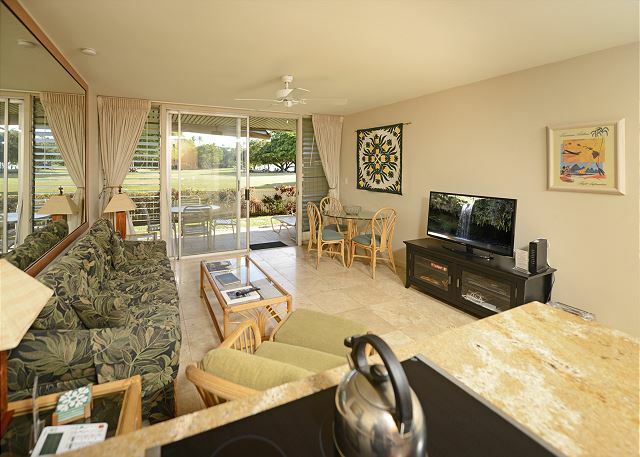 You will see the big resorts in Kaanapali as you drive up the highway and tourists of course, but because it's a condo and located on the park surrounded by other condos and houses, it feels more like a neighborhood--a really beautiful one--with a great market and coffee shop nearby. The condo itself was great--Hawaiian and classy. Very comfortable and you can tell the other people staying there value the place. I would love to come back and bring our 2-year-old too. He'd love the park and think the condo is very family friendly! Also, the staff were amazing! Valerie was incredibly helpful in the booking process and when we arrived Liz was very accommodating and helpful too. Thank you, Hale Kai! 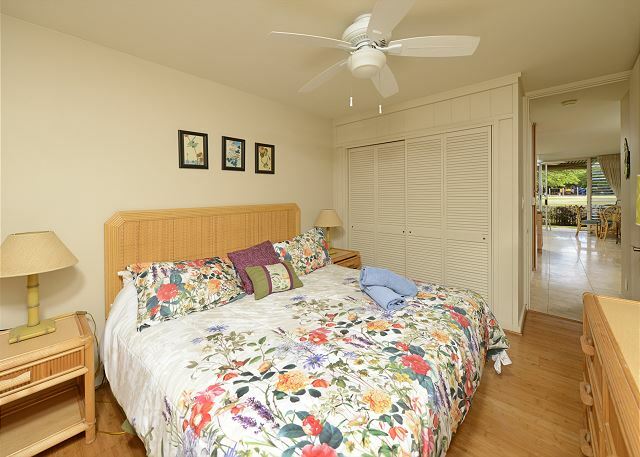 Great location in Lahaina, right next to a public park and nice beach. Good beach on property for snorkeling, with lots of sand, rock and coral. Our room was very clean and the staff very professional. If we go back to Maui for another vacation, we'd stay here again. Great location. 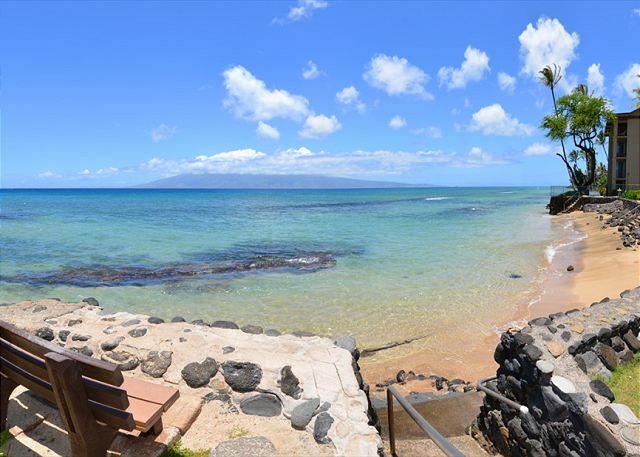 Only condo complex on Maui that is right on the beach ! Swimming pool right next to the shoreline. A hidden gem in paradise ! 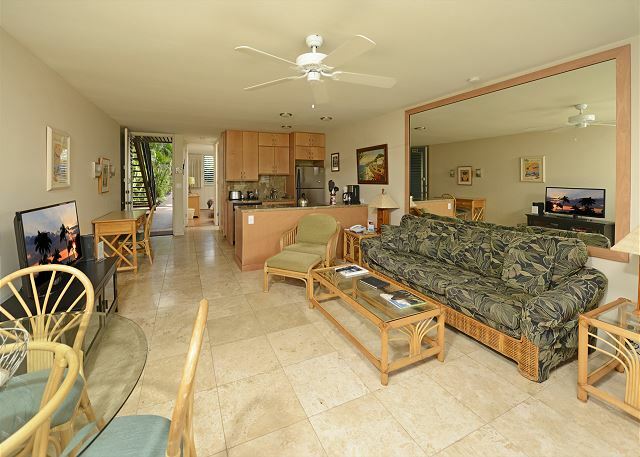 The Hale Kai is your "Home by the sea" - literally. Mahalo for your kind words. You and Maxine are very thoughtful guests with always a smile and stopping by to say hello. One of the first things Hale Kai's website promises is "complete with wireless high speed internet access" - sadly their setup is woefully outdated. We could never get a strong enough signal to connect. Website also promises "We will also greet you with gifts of aloha..." which actually consisted of a small box of chocolates. Kinda hoping for a pineapple? No walkable beach during our stay but for the public park adjacent. Our unit was very clean, comfortable and had everything we needed for comfort & cooking (no DVD player although we didn't miss it). Valerie & the other staff we encountered were perfectly helpful and accommodating. Great location for Farmer's Market and coffee shop.